ISTANBUL – Hundreds of thousands of Turks said goodbye to politician and former Prime Minister Erbakan Tuesday afternoon. 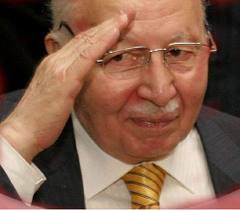 Erbakan died last Sunday at the age of 85. The streets around Fatih Mosque, where the farewell ceremony was held, were cramped with people, as were the cemetery and the road leading to it. In several places it was too busy and some people fainted. Necmettin Erbakan is the patron of Turkish Islamic politics. He managed to get conservative Muslims involved in politics, but in the end paid for it with a coup: in 1997, after being Prime Minister for a year, the army forced him to step down because his policies were too Islamic. Young men in red shirts from the Saadet Partisi, Felicity Party, Erbakan’s small religious party, stand in line, arms linked, all along the route of the funeral cortege. They keep the masses under control. But when the hearse passes, the atmosphere gets a bit grim. Everybody wants to touch the car, nobody wants to be pushed away from it. Street merchants do good business; the shawls with Erbakan’s name and portrait on them are popular. Shops along the route are closed, on their doors portraits of a friendly smiling Erbakan with the text ‘Mücahit Erbakan’, ‘Jihadist Erbakan’. That’s also the slogan shouted after the prayer on the street is finished. The atmosphere is generally quiet and friendly, even though now and then it gets too cramped in the small streets around the mosque. Reports come in that along the route and at the cemetery some people have fainted. She also praises the economic policy of the religious-political leader: Erbakan turned away from ties with Europe and the US and focused on cooperation with Islamic countries in the region. 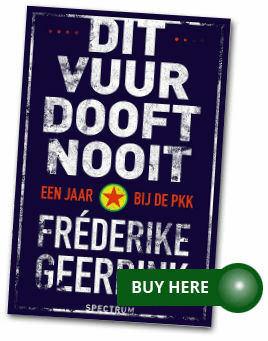 That also appeals to leftist, anti-imperialist Turks. Next Next post: Being a contract correspondent? Please, no!